I know my jobs are not anything compared to what a sharecropper or his son or daughter or wife would have faced. My workload usually involves a dangerously high stack of books that I am bound by duty or need to read and review. It is a labor of love, but don’t forget that it is a labor. 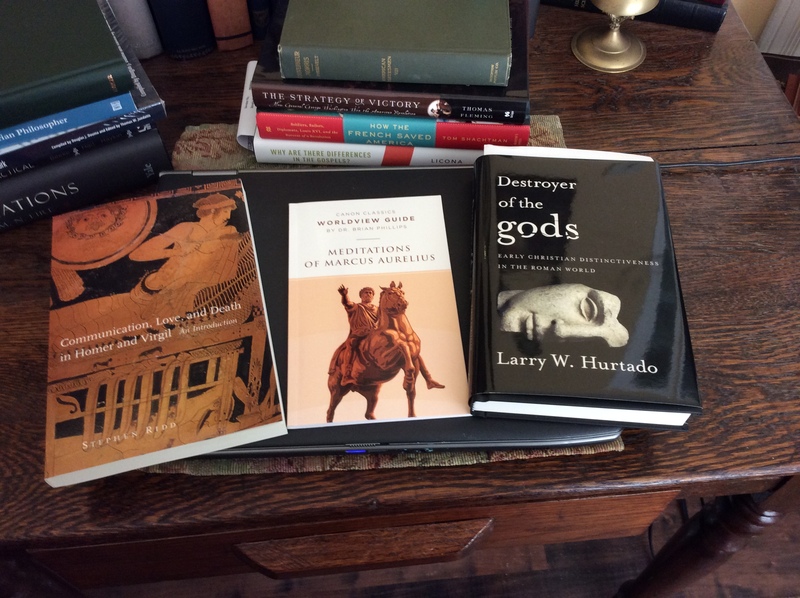 I am happily plowing my way through a stack of books that includes the volumes pictured above. Most of my reading energies this year are focused on American history, government, and literature. This is because I am teaching my course called Humanities: The American Story. With more than thirty years of classroom experience (some of it being helpful), I find that I need to read continually to refresh, enlarge, correct, and direct my understanding of the United States. Let’s look at some of these books. 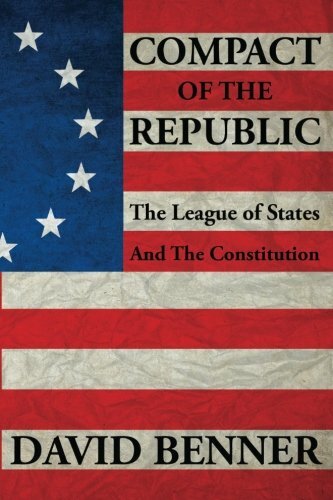 Compact of the Republic: The League of States and the Constitution is by David Benner. Mr. Benner’s website can be found HERE, and the book can be ordered through Amazon. He is a long-time and serious student of the Constitution, and he writes and speaks on historical topics, particularly in the Minnesota area. Benner is a self-professed Jeffersonian. Lest we think that species is extinct, take note that the tradition is alive and well. Most approaches to American government, the Constitution, and history presuppose that a national, centralized State was the design and intent from the beginning. One can easily assume that history “proves” that the tree planted at the Constitutional Convention was purposed to grow, expand, and engulf the states that created it. We are so far removed from limited government that it is hard to even start the discussion. But it is a necessary discussion. President Bill Clinton once said, “The era of big government is over.” Whatever he meant by that (whatever the meaning of “is” is), Clinton, like other Presidents, was helpless in stemming the tide of Leviathan. The battle has to be won on the grounds of history and serious study first. 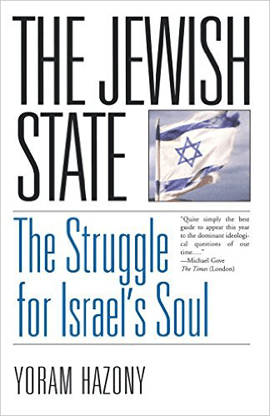 It will jolt us loose from some of our preconceived or overly indoctrinated ideas about the role of the states and the purpose of a central government. I think we are several generations away from even the possibility of reviving any sense of Jeffersonian politics. But that is not a pessimistic statement. It is a call for teachers and students of America to read books like this one. Strategy of Victory: How George Washington Won the American Revolution by Thomas Fleming was released on October 10 of this year. This book fills me with both happiness and sadness. I corresponded off and on with the prolific Thomas Fleming over the past several years. I was always amazed at how gracious he was in taking time to answer my questions or suggest which of his books I might enjoy. When he didn’t answer an email last spring, I became concerned. Then I learned that he had died back in July. That he wrote and finished this book prior to his 90th birthday and death is amazing. He certainly had a large stock of knowledge and writing experience preceding this work. 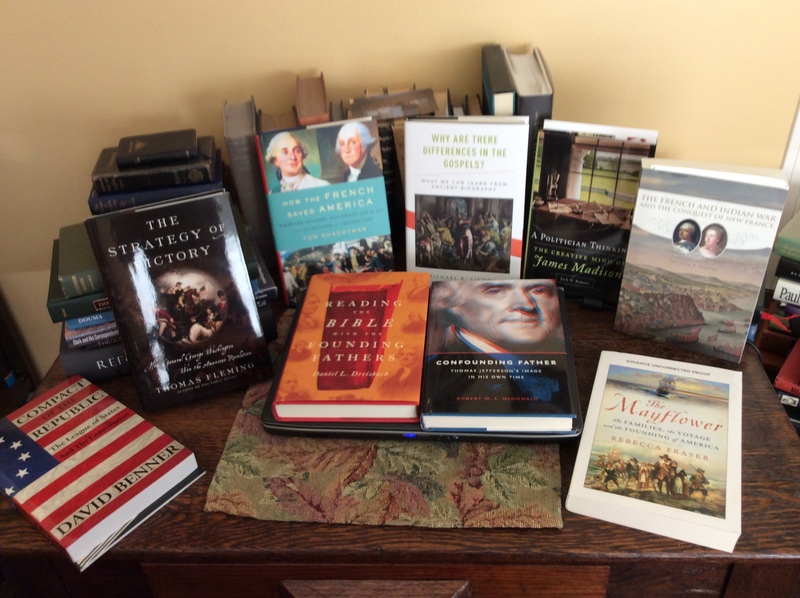 He never did a full biography of Washington, but by my count, he wrote eight or more books dealing in large part with Washington, besides books indirectly dealing with him or fictional works that included historical events about Washington. Fleming was a master story-teller. He writes solid history, but his style is focused on the narrative. I have sought to collect and read all of his books. No easy task since he wrote more than fifty books, but this one will be special because it is the last. 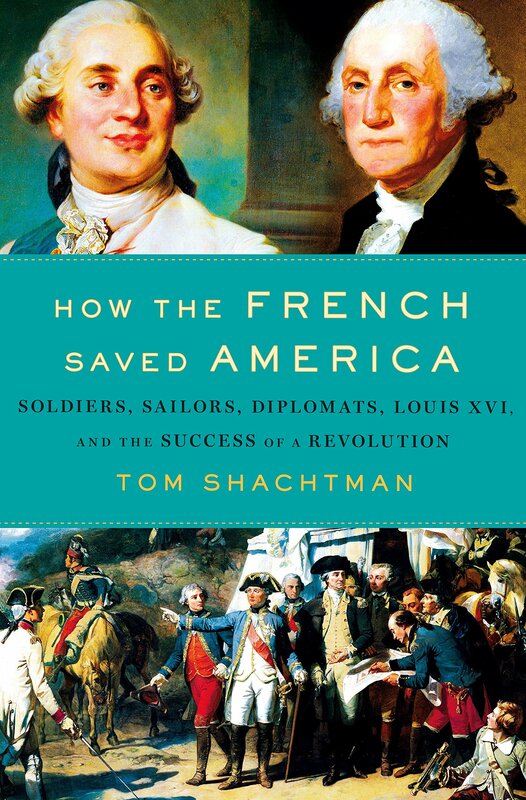 How the French Saved America: Soldiers, Diplomats, Louis XVI, and the Success of a Revolution is by Tom Shachtman. This promises to be a good book. Although the author has written quite a few works, he and I will get to first meet when I can get started on this book. I used to spend lots of time and energy studying the American Civil War Between the States. At some point, I began turning more attention over to the American War for Independence. I still feel a mental deficit when trying to piece the entire War for Independence together in my mind. The American Continental Army and George Washington changed the world by their victory. But would it have happened without the French? It is hard to think through a path to victory without the French fleet and armed forces that both blocked Cornwallis’s path to retreat and ensured his surrender at Yorktown. This promises to be a fun and interesting read. I read a reviewed Daniel Dreisbach’s Reading the Bible with the Founding Fathers during the summer. I was able to briefly correspond with Dr. Dreisbach and I am not opposed to reading everything he writes (given time and opportunity). But if I only stick to this book, I will be well served. This is an outstanding study. 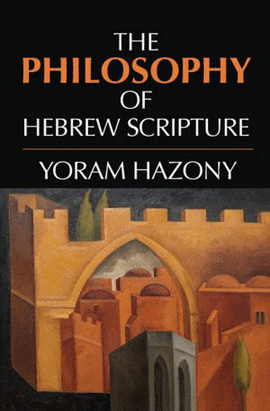 I read it as history, as spiritual devotional, and as a practical guide to godly living. This is a book to read and heavily quote from. I also recently read and reviewed Confounding Father: Thomas Jefferson’s Image in His Own Time by Dr. Robert M. S. McDonald. This book is published by the University of Virginia Press. Confounding Father is an excellent second or third biography to read about Jefferson. By that I mean that this book has a particular focus that includes many of the events and details of Jefferson’s life, but it is not a biography in the sense that the six volumes of Dumas Malone or the one volume of Jon Mecham are. This book focuses on how Jefferson used and was abused by the media, meaning newspapers, and by his political advocates and enemies. A Politician Thinking: The Creative Mind of James Madison by Jack N. Rakove is published by the University of Oklahoma Press.I began reading this book with the idea that it was a short easily accessible biography of the man who was our fourth President and is called “the Father of the Constitution.” Characteristic of Madison’s short stature is the small notice that is usually accorded him. He was quite literally overshadowed by his neighbor and peer Thomas Jefferson. His co-authorship of The Federalist Papers results in him being one of a list of three. He appears to be the bookish, policy wonk of the Constitutional Convention. He was large in knowledge and background information, but small in his verbal or leadership activities. This book is not a simple biography, but a study of Madison’s political labors. As a political thinker, he deserves to be ranked right up there with men like Machiavelli, Burke, Locke, or Hobbes. But there is no key book from Madison that contains his political philosophy. The closest thing we have is Federalists numbers 10 and 51. And those two essays are “God’s plenty,” in my opinion. Early impressions are that this is a worthwhile, although weighty study. For the second or third time, I have read the introduction to The French and Indian War and the Conquest of New France by William R. Nester. It is published by the University of Oklahoma Press. Each time I read the introduction, I find myself thinking that this lengthy book seems to be really inviting. It is a time problem that has hindered me. I am fascinated by the French and Indian War (Seven Years War), and I have collected numerous volumes on the war for what Voltaire called “a few acres of snow.” Usually, however, my teaching on the war gets lost between using James Fenimore Cooper’s delightful Last of the Mohicans and the subsequent history chapters emphasizing that war as a cause of the American War for Independence. Just maybe this time I will plow ahead into this book. 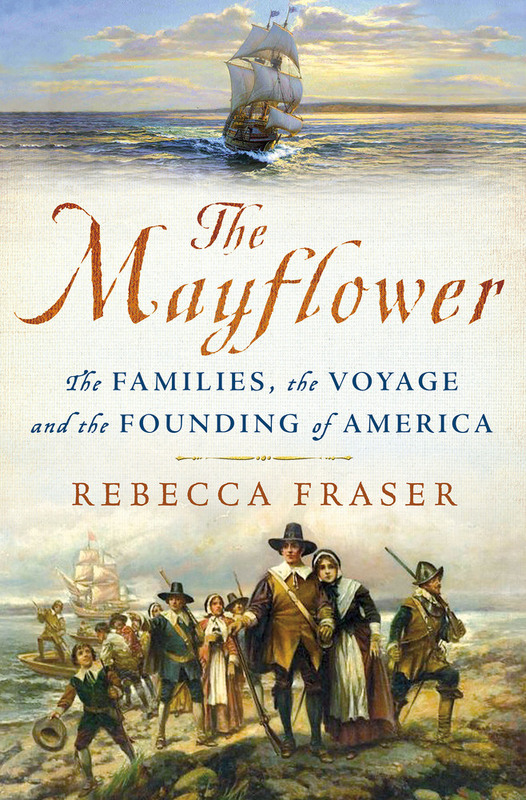 Just in time for Thanksgiving, the book The Mayflower: The Families, the Voyage and the Founding of America by Rebecca Fraser will be out and on the shelves. 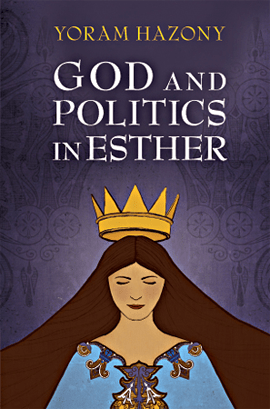 This book is published by St. Martins Press. My copy is an uncorrected proof. Having started it, I am finding it quite enjoyable. This book gives a good background on the religious beliefs of the Separatists who came to the New World. Hopefully, I can say more later as I get into this book. Oxford University Press is a favorite source for good books of all sorts. 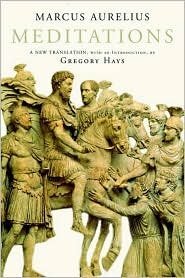 I recently learned of this book–Why Are There Differences in the Gospels? 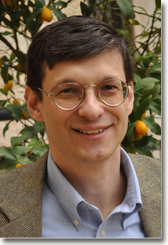 What We Can Learn from Ancient Biography by Michael R. Licona. Dr. Licona, a professor at Houston Baptist University, is a rising force in the Christian world of scholarship and apologetics. I frequently come across people today who say, “Have you ever seen a President being attacked like this one is being attacked?” These people are usually supporters of President Trump who have been angered by the government, politicians, and the media for years. Pres. Trump, better than any politician in the last 36 years, was able to tap into that anger and surprise everyone in November of 2016. The President’s actions, words, attitudes, and tweets have continued to create a firestorm of protests, complaints, and anguish. The election results shocked the nation and embarrassed the pollsters. Efforts to calm the raging storm for the past eleven months have been few. But let’s go back to the question: Has any President ever been so viciously attacked? The answer is yes. The President to start with is George Washington. The first President is iconic and marble-like that it is hard to fathom how mean-spirited and cruel some of the attacks were on him. The short, unhappy presidency of John Adams was a time of immense criticism for the chief executive. Adams’ support of the Alien and Sedition Acts didn’t do much to deflect such criticism. He could, on occasion, be his own worst enemy, but he had no lack of other enemies snapping at him. Thomas Jefferson also endured a long string of attacks over the course of his career. A survey of attacks on presidents could cover the whole gamut of men who served in the Oval Office, but we will focus on Jefferson. The book Confounding Father: Thomas Jefferson’s Image in His Own Time by Robert M. S. McDonald is about Jefferson’s dealings with the press, his image, and the spin give on his actions on the American political scene. On the one hand, Jefferson was statesman like in his bearing, his labors, and his overall contributions to America. It was his pen that produced the Declaration of Independence. He served in a number of political posts, both elected and appointed. Just dwell over his resume: Member of the Continental Congress, member of the committee to draft a Declaration of Independence, governor of Virginia, foreign ambassador to France, first Secretary of State, Vice President, President, and founder of the University of Virginia. Most of these posts are associated with great accomplishments. These quotes, and many more could be added, testify to Jefferson the statesman, Jefferson the scholar, Jefferson the philosopher/king. He truly had some real nobility in his actions and devotions to the things he believed. One the other hand, Jefferson was one canny politician. In the legendary Kenny Rogers’ song “The Gambler,” it says, “You gotta know when to hold ’em, know when to fold ’em, know when to walk away, know when to run….” That wisdom has its own application in the political world. Jefferson could cut an enemy without ever weilding a weapon himself. He used newspapers, friends, and circumstances to advance himself and detract from his opponents. One of the more unusual traits of our politically ambitious founding fathers was their ability to appear totally disinterested in political office, such as the presidency. Presidents Washington and Jefferson were both masters at that ploy. Maybe they would have been perfectly happy never to have been the President, but one suspects they wanted the job as much as candidates do today who seek the office. But mouthing about ambition was not acceptable in their time. Comparing the past with the present is always a risky matter. Putting Jefferson side by side with the four most recent Presidents creates some weird mental vibes. At the same time, Jefferson–for all his indisputable brilliance–was a man of his time. He owned slaves; he very likely had an adulterous relationship with one of his slaves; he naively fell for much of the rhetoric of the French Revolution; he was not at all loyal to President Washington; and he played political hardball. In terms of wily political maneuvering, he was the equal to or superior to either Franklin Roosevelt or Lyndon Johnson or Richard Nixon. In terms of being a man of distinction, he deserves all the honors that have come his way through the decades. Perhaps what was most stunning to me as I started reading this book was the fact that Jefferson’s authorship of the Declaration of Independence was not widely known for years. Can you imagine any modern politician–or his campaign managers–missing out on such a “photo and media op”? It was a different world, a different playing field. Confounding Father: Thomas Jefferson’s Image in His Own Time is a wonderful way to enter that world so much like our own and so different from our own. Good Bible teaching takes us down familiar paths and shows us new things. That is not an original thought or sentence, but rather one that I heard years ago and have often repeated. 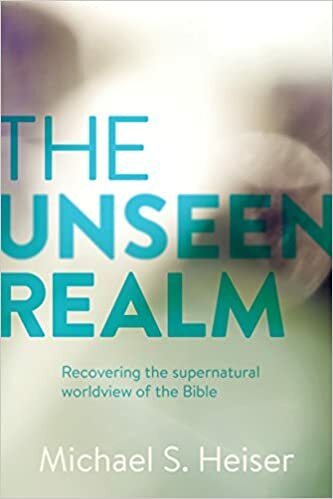 It is for me a very good way of defining what I have experienced in reading The Unseen Realm: Recovering the Supernatural Worldview of the Bible by Michael S. Heiser and published by Lexham Press. I am on my second reading of the book. The first reading was slow and the second one may be slower. This is a path breaking book. It is challenging because it addresses issues that are not usually tackled and has some approaches that are far from conventional. What other kind of view could we have as Christians? It is possible to read the Bible for years and typically overlook or sidestep certain passages, details, and content. In many cases, this is because there are things mentioned that just don’t open up to easy answers. For example, consider the Nephilim of Genesis 6:1-4. These passages and others create challenges in that the usual method of comparing text with text doesn’t easily yield answers. But Heiser believes and supports the idea that these passages are not just weird quirks in an otherwise sensible story. 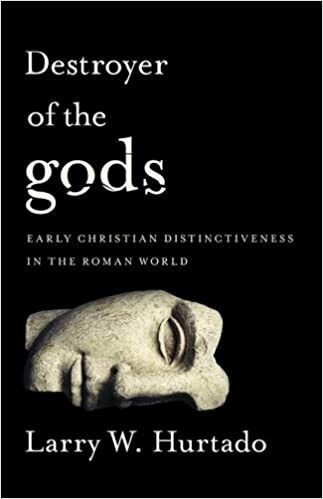 Much of his book concerns God’s council with spiritual, even divine beings, who serve God, confer with God, listen to God, interject their own comments, but who ultimately are under God’s total providence and power. This is not polytheism, for God alone is God, as the Scripture consistently affirms. This book is neither brief nor easy. I recommend it, but warn the reader to take time, think carefully, have the Bible handy, and be ready to do some brain changing thinking.